ISO (the International Organization for Standardization) is a global federation of national regulations bodies. 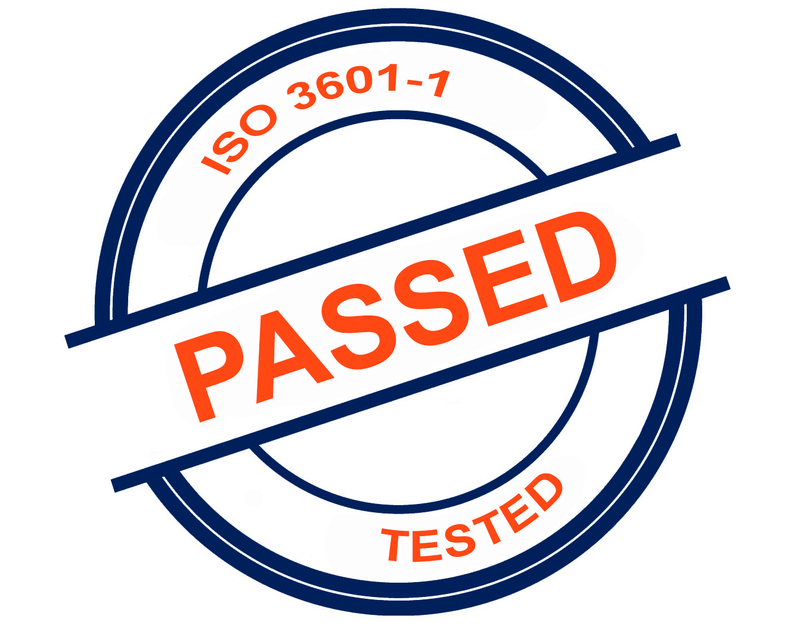 ISO3601 is a standard. The Fluid Power Systems, power is remitted and directed via a fluid (gas or liquid) under stress inside a closed circle. To avert leakage or to seal diverse elements of a component from each other, sealing products are used. O Rings are an example of the sealing product. Issued by International Organization of Standardization, the ISO3601 standard consists of 2 sets of O Rings, Class A, and Class B. Class A conforms to the American standard AS568B in its present structure. Class B permits manufacture of O Rings in mechanically satisfactory and economical metric sizes, that suit metric grooves. ISO3601-1 particularize the inside diameters, cross-sections, tolerances and designation codes for O Rings used in fluid power systems for widespread industrial and aerospace industry applications. The sizes (tolerances and dimensions) stated in ISO3601-1 are appropriate for any rubber material granted that adequate tooling is available. ISO3601-2 particularize the housing (gland) dimensions for Class A O Rings for prevailing industrial applications complying with ISO3601-1. It also specifies housing dimensions for Class B O Rings used on preferred metric-dimensioned hardware, for example, piston rods or fluid power cylinder bores. These O Rings are intended to use in standard pneumatic and hydraulic installations with and without back-up rings (anti-extrusion rings). The sizes of the O Rings in ISO3601-2 size codes and tolerances conform to ISO3601-1. ISO3601-3 specifies the quality approval standards of O Rings used in fluid systems, the sizes of which are regularized in ISO3601-1, ISO16031-, and ISO16031-2. This section of ISO3601 additionally specifies and categorizes surface blemishes on O Rings and defines uppermost acceptable restrictions for those blemishes. This part of ISO3601 also covers O Rings that are to be used in aerospace construction. These back-up (anti-extrusion) rings are intended for use with preferred O Ring sizes as defined in ISO3601-1 and the appropriate housing dimensions defined in ISO3601-2. ISO3601-5 comprises the material description of a range of standard rubber (elastomeric) materials for O Rings used in standard industrial installations. It also defines the capacity of the materials to fulfil a number of demands involved with fluid power elements. Solely materials that are in global usage are defined, different elements are accessible and can be used. If you require additional information about our range and/or services, download our catalogue or contact a member of the team. E & OE. M Barnwell Services endeavours to make sure that all the content is correct. Information has been gained from manufacturing partners.